We picked up as a new long term client this Sportsbook Pay Per Head provider that is located in Costa Rica. This account started out as an SEO service and website design account and moved to a full marketing service contract. Some of the marketing worked involved: Video Marketing, social media Marketing, Pay-per-click marketing and more. We are both very pleased with the results as we increased their traffic by 1,100% and their number of customers by over 300%. We hope that the next year both companies will prosper even more! Even though this client is a start-up company that offers property management an maintenance services in Georgia, it is still a large client. The reason why is because this client owns several other business and has a lot of contacts in the Georgia area. Atlanta has always held a special place in our heart and that is why we were very happy when we landed this contract. We care currently working on other project for this client’s other businesses. 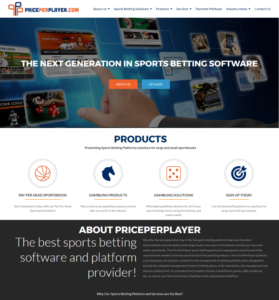 This long term project was a welcome change in our routine as it was an SEO project in French from a virtual sports betting company in Africa. Our target market were all of the French speaking countries in Africa and we are happy to say that our SEO efforts were a tremendous success. We managed to achieve first page ranking for all of our target keyword within a 6 months. As in all successful marketing campaigns, this has led to more opportunities with this company and will soon be working on a full marketing campaign. They were of course several other new contracts and marketing campaigns throughout 2017. Even though all of our clients are very important to us and we would love to show off the work we did for them, the majority of them do want to remain anonymous.